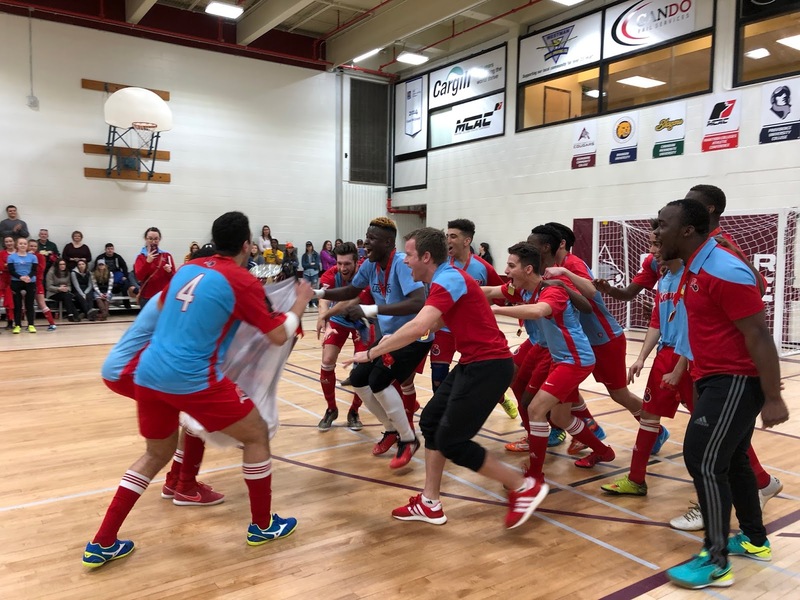 The top-ranked Université de Saint-Boniface Les Rouges are crowned the 2018 MCAC Men’s Futsal Champions after defeating the Brandon University Bobcats 6-3 in the finals on Sunday. 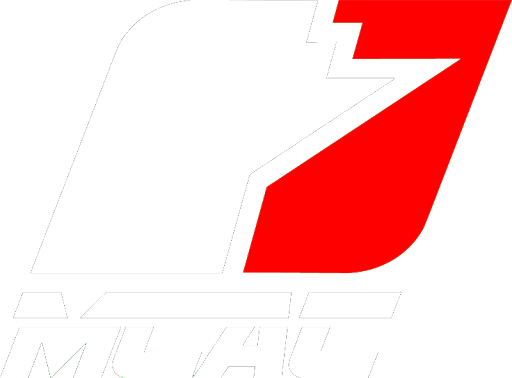 Yahia Chihab, the conference and now championship MVP, was stellar in his final MCAC performance scoring three goals and assisting on a couple others to his running mate Derek Mains who notched three himself. Regardless of being shaken up with an injury early in the first half, Les Rouges goaltender Kiese Fiston was stellar. 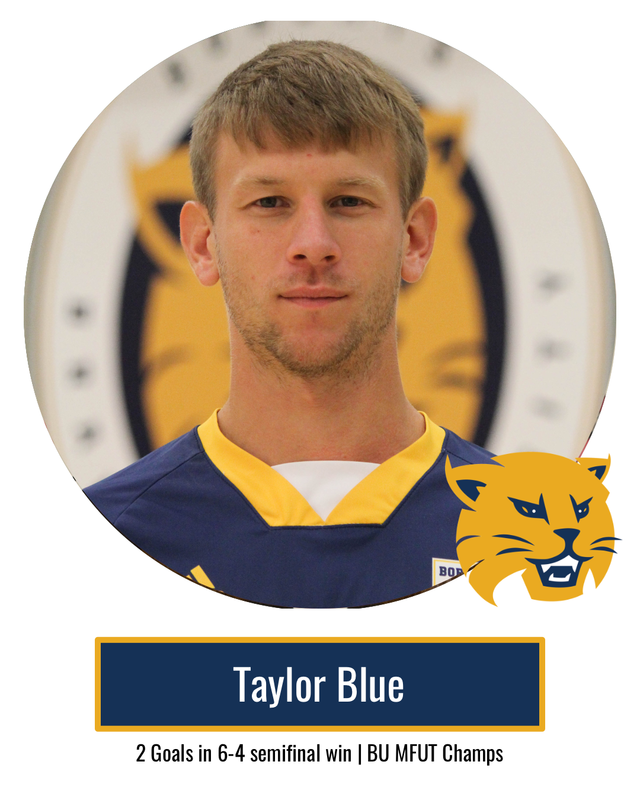 He made double-digit saves and held the Bobcats to just one goal in the second half. 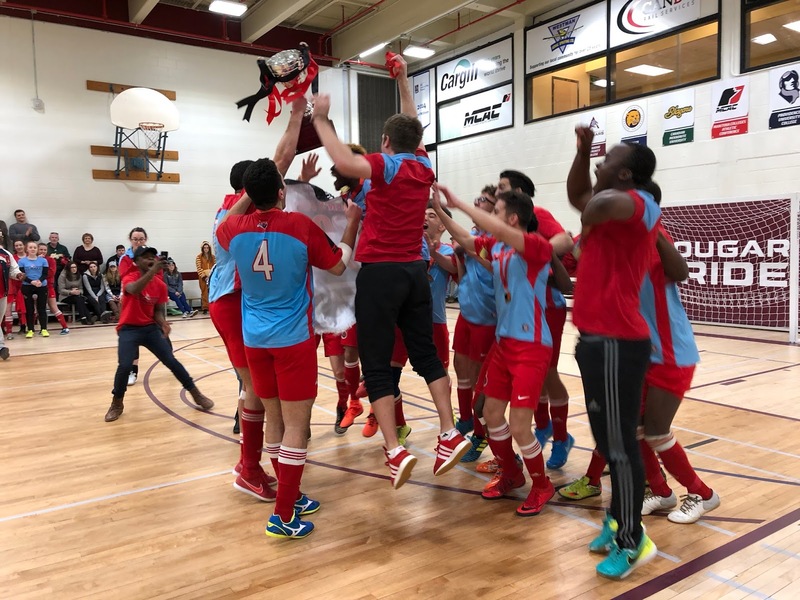 The Bobcats proved worthy of their spot in the finals by locking down the high-scoring Les Rouges in the first to only two goals – Bobcats goalkeeper and All-Conference selection Dan Harrison had an incredible weekend in net. Osian Edwards and Adam Hay connected on the Bobcats final goal of the game early in the second half to lock the game up at three before Mains, Chihab and Les Rouges took over down the stretch. 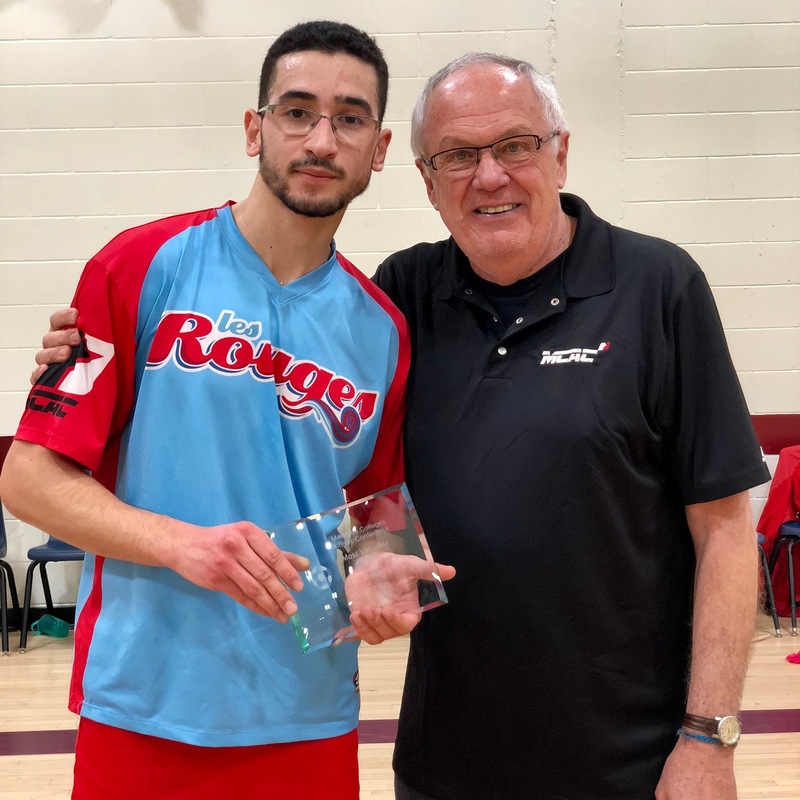 Yahia Chihab had a hat trick in each of his games this weekend and was awarded both the Conference MVP and Championship MVP this season.